Do you find yourself still trying to figure out what to do this Fourth of July? Aside from the usual BBQ, fireworks, neighborhood festival, head outside of your comfort zone and visit one of many beautiful state parks we have across Illinois. 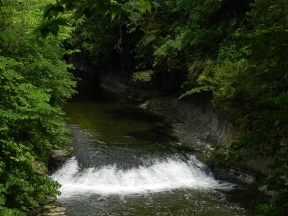 We listed several parks worth the visit for those of you looking for some adventure. Illinois Prairie Path One of the first rail-trails in the country, the 62-mile Illinois Prairie Path is a pitchfork-shaped trail in the heart of the Chicago suburbs. This hiking, bicycling, equestrian and nature trail in DuPage and Kane counties stretches from Elmhurst to Wheaton, where it splits into four spurs that lead to the Fox River in Elgin, Batavia, Aurora and Geneva. Illinois and Michigan Canal State Trail Forty miles of trail await you at the historic I & M Canal. It begins at Channahon, southwest of Joliet to Gebhard Woods State Park and continues from Marseilles to LaSalle. The canal once was part of an important transportation network linking Lake Michigan to the Gulf of Mexico. Castle Rock State Park is located along the west bank of the Rock River in Ogle County, three miles south of Oregon, on Highway 2. The park is centrally located in the Rock River Hills region of Illinois, and its rolling topography is drained by the Rock River. 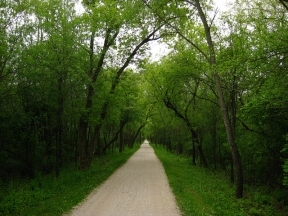 The park is representative of the Rock River Hills area with rock formations, ravines and unique northern plant associations. A sandstone bluff, adjacent to the river, has given the park its name. Kankakee River State Park On land treasured for centuries – first by Native Americans, later by traders and farmers, and as early as the 1890s by recreation seekers – Kankakee River State Park offers visitors its proud heritage in an unspoiled setting. Anglers, canoeists, hunters, campers, hikers, bicyclers and other outdoor enthusiasts find the park’s recreational opportunities unsurpassed. Bring your canoe or rent locally and enjoy the beautiful scenery. Starved Rock State Park Experience the fun of outdoor adventure at Starved Rock State Park. Whether you enjoy hiking along the nature trails or viewing the many spectacular overlooks along the Illinois River, recreational opportunities abound. From picnicking to fishing to boating, from horseback riding to camping to enjoying winter sports, there’s so much to do that you’ll come back again and again. Illinois Beach State Park A full range of recreation opportunities complement the expansive shoreline of Illinois Beach State Park. Interested in jogging and bicycling? The trails are waiting! Or, is physical fitness your current pursuit? Whether you’re an active outdoor enthusiast or just interested in a quiet walk along some of the Midwest’s most scenic beaches, this is the place for you! If you are looking for more to do, visit www.dnr.illinois.gov.